Last year, roughly around this time, I received the Harry Potter book set as my birthday gift. I then made a promise to myself that I'll finish reading the series by my next birthday. As I turn a year older tomorrow, I can proudly say that I have finished reading all the books from the set as well as I have watched all the movies in the series. I know that for most of you, Harry Potter is a done and dusted topic, but for me it is something that I only discovered recently and then I fell head over heels in love with it. I want to talk about the books and the movies in detail, but I do not want to do reviews. I just want to talk about them like in a conversation. Considering that there were seven books and eight movies, there is no way that I could finish that in a single post. So, I'm attempting to put in all my thoughts and opinions about this series in three posts. Here is the part one of the post from the girl who discovered. The Book: Around ten years ago, I started reading this book. But when a cat turned into a woman in page two, I stopped. This kind of fantasy was way too much for a realist like me. I never went back to the series again. I even left it behind when I left my mother's house and moved to my husband's place. But then I read 'The Night Circus' and thought to give fantasy another shot. When I got the box set as a birthday gift last year, I thought better late than never. So on September 1st, the very day the badly named boy was supposed to start school, I started reading the first book again. 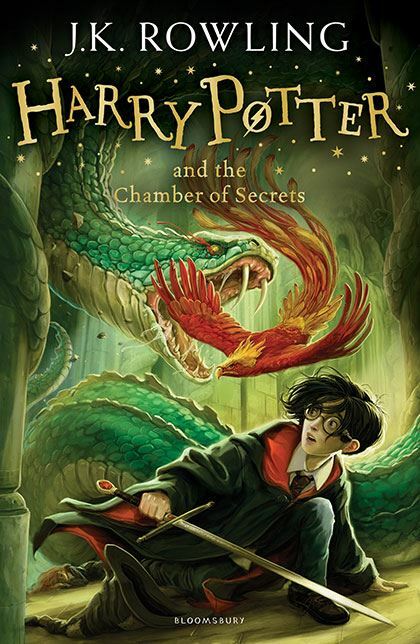 Nineteen years after the book was released. I must admit, it wasn't very easy. The flying motorbike, the larger than life wizard, owls delivering mail and cats turning into women were not my cup of tea. But this time, I persisted. Once I got past the first few chapters, I was hooked and I finished the book in two days. I loved everything about the story. The adorable characters and the imagination was much beyond what I had expected. Unfortunately for me, I knew the cast of the movie so every time I read about a character I had a well defined image in my mind. Harry, Hermione and Ron were way too perfect and the supporting characters of Dumbledore, Hagrid and the Weasleys held the story tight. The concept was brilliant and the story flowed every well. The chapter revolving around the mirror of Erised was my favorite in the book. I fell in love with the song of the Sorting Hat and something about Professor Snape attracted me. I just knew it somehow that he was not what he appeared to be. Thanks to the hype around Harry and the Weasleys, I was Gryffindor all the way. This changed later though. The Movie: I honestly felt that this movie did justice to the book. It introduced the characters well and the Diagon Alley and Quidditch scenes were brilliant. I was disappointed in the philosopher's stone though. It looked way too plain. I had imagined it to be something dynamic and sparkly, but it just looked like a piece of chipped marble. The Book: I picked this one as soon as I was done with the first book and I liked it more than I liked the previous one. This story was very well thought of and the idea of Moaning Myrtle was very well imagined. The back story involving Hagrid laid a good premise for the later parts. When Tom Riddle uses his wand to write that he's Lord Voldemort, I had goose bumps. Gilderoy Lockart was too adorable as the narcissistic teacher. The scene involving Aragog was conceptualized really well. The story ended well too with Fawkes lending the final twist in the climax. The Movie: I loved it! The scenes involving the flying car was very well executed. The basilisk looked menacing and the Moaning Myrtle scenes were shot well. Dobby scared me at first, but later he looked okay. I think the movie did good enough justice to the book. The Book: This was my favorite book of the first three. I fell in love with the character of Sirius Black almost immediately and then in love with the Marauder's Map. What a brilliant idea that was! 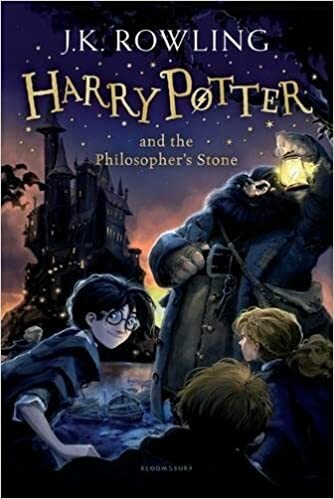 The back story of the four mischief makers was excellent and the imagination of a character like the hippogriff was way too awesome. The dementors were scary, yes. I liked the character of Remus Lupin a lot. The ending involving the time turner was beyond brilliant. The Movie: The movie got the characterization of the dementors perfectly. They looked menacing and scary. I did notice the change in Dumbledore almost immediately. It was initially hard to believe that Commissioner Gordon from The Dark Knight Trilogy was now Sirius Black, but the movie showed him like he was almost insane. While the scenes involving Buckbeak was shot very well (especially the one where Harry rides him above the water and sees his reflection), the movie lacked some finesse. I always imagined Hogsmeade to be way too beautiful and magical, but what was shown in the movie was way too plain. Here, clearly the book trumps the movie. I'll talk about the next three books in part 2 of this post. Soumya..I cannot fully express how happy reading this post has made me. Not only is it about my favorite book series ever, but witnessing someone discover the joys of Harry Potter is an indescribably awesome feeling. And I agree with many of your thoughts on the books and movies. The characterization was pretty spot on, and while the movies did justice to most things in the books, our imagination is always much better. Hogsmeade was more wonderful in my head. Please don't hate me, I am not a Potterhead. I never hear the end of this from my niece. :-) I remember your post during the AtoZ challenge about your late entry into Harry Potter world. Love your passion. By the way, every time I start to type Harry, it comes out as happy. :-) Which is how you feel about the books, eh? Love to you! Happy it is whenever you are around! Love! I have never read more than the first book - not sure why. I have seen and own many of the movies. 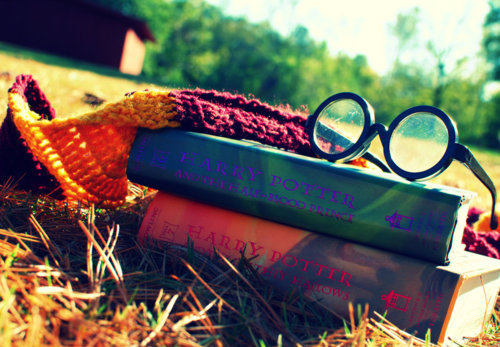 I really should get hold of the books and read them. It takes a while for the tale to grow on you. Awaiting the next posts in this series. It's always a joy to read and understand the thoughts of a fellow Potterhead about the series! The story gets better and better. My decision of not re-reading the books as I have too many books on TBR list, the third book broke that because I loved it so much I read it 3 times. As for movies I felt the later ones lacked the magic which books have in them. The third book was very very good, no doubt. So true, the later movies just ruined it all. I haven't read Harry Potter yet. Waiting for M to grow up to read it together. It's not really my genre but I do admire the world she has imagined. So, one day I will finish the series, I hope so. This is the only comment I got, Ramya. Oh yuy lucky thing - you got to savour HP as most of us are done and dusted with it; though have to mention I read them through and through atleast once every year since the first time I read them. Your joy of the discoveries is enchanting and I relived mine via yours! Thanks for that feeling!! Look forward to your balance posts on this Soumya!! Thank you Shalini, although I'm not sure if I would go back and re-read them. I was so excited to read your experience about the books, Soumya. J.K Rowling's imagination is superb. 😀 Will read your next posts in the series too. I'm not sure if I'll be rereading them though as much as I liked it.